The Author, H. Atmaram, is an Engineer by profession. He has always been interested in Children's literature, and has written scripts for Amar Chitra Katha, stories for Target, and a few children' plays, in this book he has turned his attention to writing about spirituality addressed to the younger generation. My grandson Vikram's Upanayanam was performed on Feb. 14, 2000. 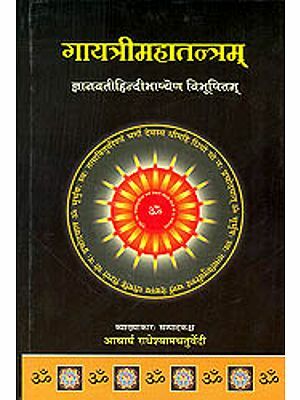 The occasion is supposed to introduce the batu to brahmavidya. 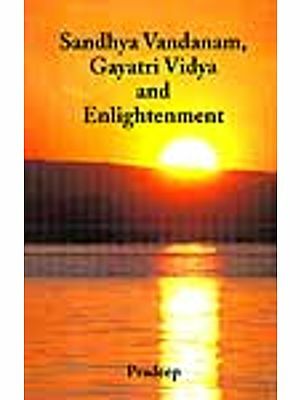 The idea came to me tha the best gift I, as the grandfather, could give the batu was an introduction to Spirituality, stressing in particular the role of the Gayatri mantra in one's spiritual growth and development. I therefore decided to write a short booklet to give to Vikram during the ceremony. After the ceremony I requested Vikram to give me a little of his time so that we could read the book together, to which he readily agreed. I found I was able to hold his attention all the while - the reading took two sittings, five hours in all. During the reading I was also testing his comprehension how and then with questions, and the responses were favourable. The content was apparently not above his level of understanding. I was able to communicate with, and at the same time hold the interest of an eight-year-old on so abstruse a topic as spirituality. The reading was thus quite satisfactory from may point of view. The idea then occurred to me that there are many Vikrams around, who cold also benefit by my effort addressed specifically to the younger generation, who need a firm mooring in spirituality (Sanatana dharma). the book in the present form is the result I am grateful to Bharatiya Vidya Bhavan for agreeing to the publication of the book under its aegis. I had avoided references to the sources whenever the Bhagavad Gita or Upanishad was quoted in the text, so as to retain continuity of the narration. An index giving the references has now been added. I consider the book as having been written upon the 'dictation' of Lt. Col. R. I. Easwaran (Retd. ), my Sadguru, and not by my independent efforts. 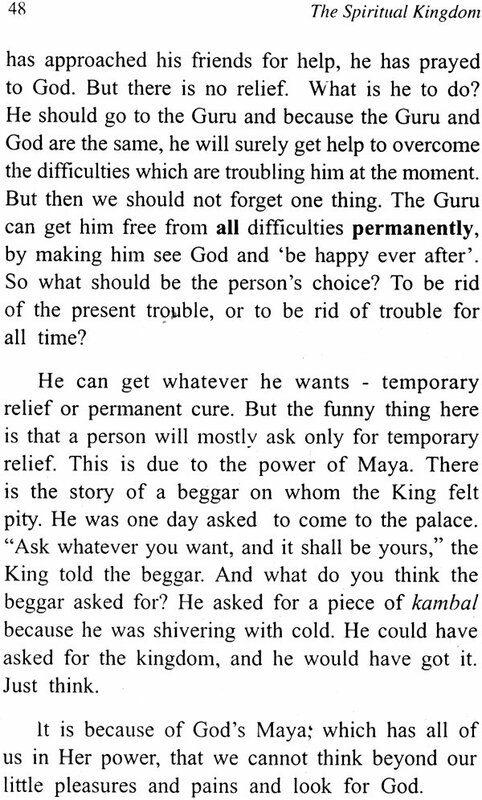 The batu's letter to Guruji (App. 1) seems to confirm this. Dhiyo Yo Nah Prachodayaat .
. For you this is a very important occasion. Gayatri is called 'Veda-Mata' - the Mother of Vedas, because She opens the doors for you to enter the Spiritual Kingdom. So far you have known only of three Kingdoms - the Mineral, Plant, and Animal Kingdoms. But there is another - the Spiritual Kingdom, where only Man can enter. When you learn the Gayatri Mantra, it is your second birth, and now you have the right to enter this Spiritual Kingdom. In the olden days, after Upanayanam, the brahmachari used to go to the Guru's aashram and stay there for twelve years, serving the Guru and learning the Vedas. This study prepared him for life, by teaching him Dharma, the way of Right Living. Nowadays, the stress is only on worldly knowledge. The schools prepare you to earn a living, but they do not teach you how to live. Schools and colleges do not show you the way to the Spiritual Kingdom as they did in the past. You are not told anything about what you really are, you are not told why you have come into this world. But if you are curious to know the answers to these questions, you can find them in our Shaastras (Scriptures) -- such as the Bhagavad Gita and the Upanishads. Who am I? Why have I come into the world? The answers to these questions will be unexpected and strange, because they go against what we know and think. Would you believe me, if I tell you for example, that in reality you are not Vikram, but that you are God? But this is just what the Gita and Upanishads tell us. Tat tvam asi, they tell us, You are that! They tell us that we are all of us, in reality, only God! They also tell us that the reason for our coming into the world as human beings is to re-discover this great truth. You have been told that God is everywhere, and I am sure you believe that this is true. But have you tried to think how it can be so? How can God be everywhere? This can happen only if you are God, and I am God, and everyone else and everything else in the world is God! Only then will God be everywhere, filling every atom in space. 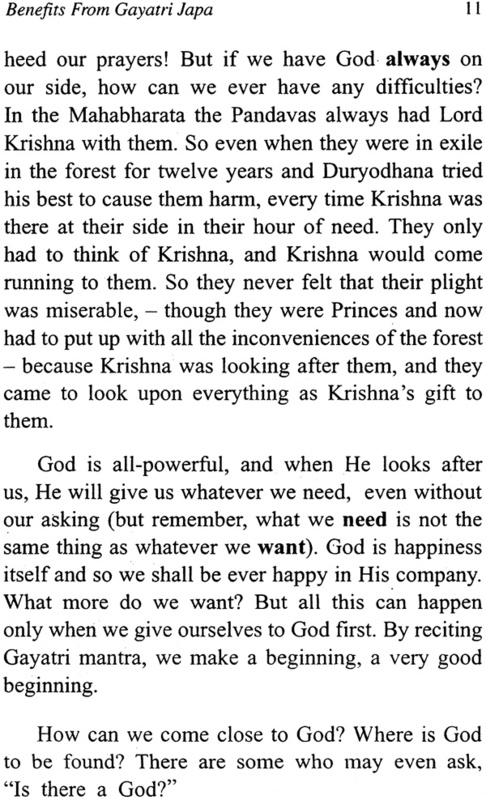 This is the truth, the actual Reality, the Gita and Upanishads tell us. So then you are not Vikram, you are God, right? But does it look that way? Have you heard this story? Prahlad was a great Bhakta and always took the Lord's name. His father, the Asura King Hiranyakashipu had obtained the boon that he would not die at the hands of man or animal, that he would not be killed with weapons like sword, etc., that he would not die during day or during night, and also that he would not die inside his palace or outside. Thinking himself invincible because of this boon, Hiranyakashipu declared that he alone was the supreme ruler of the land, and everyone should worship him and none else. 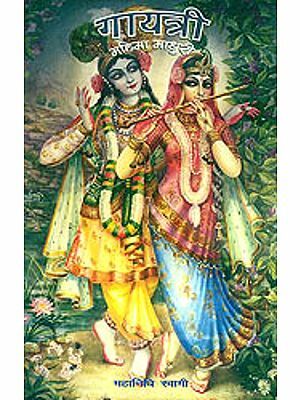 Prahlad, who was a great devotee of the Lord, did not accept this command, and obstinately continued to worship Lord Narayana and take' the Lord's name. 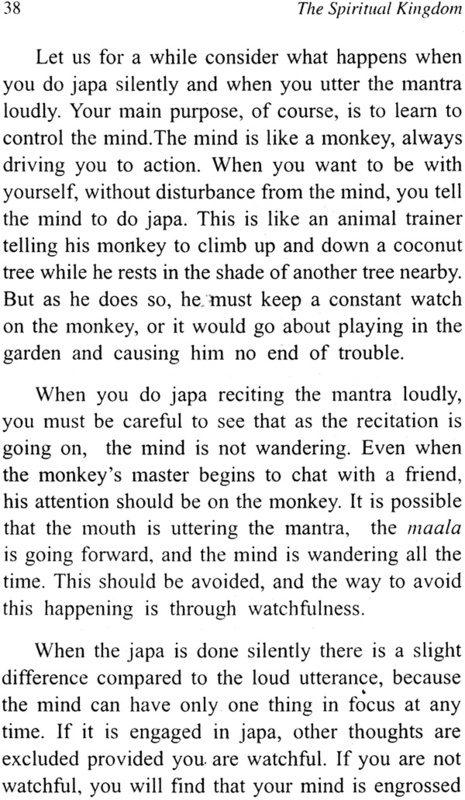 Hiranyakashipu tried various means to make him change his ways. When all his efforts failed, he finally brought his son to his palace and asked him, "Why is it that you so obstinately insist in taking Narayana's name? Who is this Narayana of yours, and where is he?" Prahlad replied, "Narayana is the sale ruler of the universe. He is everywhere". This angered Hiranyakashipu and he bellowed, "If he is everywhere, is he in this pillar?" "Yes," said rahlad. Hiranyakashipu in great rage struck the pillar with his sword saying, "If he is there, let him come out and I shall kill him!" Now, God has given His promise to' his Bhaktas that whenever they are in trouble, He would come to their help. And He kept His promise when Prahlad, His Bhakta, was in great difficulty. Lord Narayana appeared from the pillar, taking the terrible form of the Man-Lion, Narasimha (terrible to Hiranyakashipu, but loving towards Prahlad). The Lord as Narasimha set upon Hiranyakashipu, and taking him to the steps of the palace tore open his belly. Thus Hiranyakashipu met his end, killed by Lord Narasimha Who was neither man nor animal, killed by His nails, and not by any weapon, killed on the steps of the palace, neither outside not inside, and at the hour of twilight, neither day nor night! The story of Prahlad is a Puranic story. Ramayana and Mahabharata are puranic stories. People with a scientific education are apt to scoff at such stories. They ask, Did Prahlad really exist? Did Arjuna and Krishna really exist? For the believer, it does not matter. The significance of these stories does not depend on whether They take our thoughts the mind of all impurities. They teach us principles which are ever true. The story of Prahlad brings out the principle that God is everywhere, and that He will never desert His true devotees. Once, Arjuna asked Lord Krishna to show him His real form, Lord Krishna told him that he would not be able to see God with his ordinary eyes, and so gave him 'divya drishti', Divine Vision, - a special power which we ordinary people do not have, so that Arjuna may see God's form. But it is possible for us also to have this divya drishti, by spiritual practice (known as saadhana). It is in opening our 'third eye' to get this divine vision, that the Gayatri Mantra comes to our help, and this is the importance of the thread ceremony. If you are God and I am God, and everyone else is God, why do we not know it? We do not know because we have forgotten our real nature. There was a lion cub in a forest, who lost his way and found himself amidst a herd of sheep. The sheep took the lion cub in their midst, and looked after him. The lion cub forgot who he was, and behaved like a sheep. He even bleated like a sheep! One day, a lion looking for prey came upon the herd. He was surprised to find here a real lion cub, moving about among the sheep like one of them, and not at all like a lion. He took the cub aside and told him, "Look, you are a real lion, just like me, and not a sheep. So what are you doing 1 ere?" The cub would not believe him. The lion then took the cub to a pond near by, and asked him to look at his reflection in the water, and know for himself who he was. No sooner did the cub look into the water and see his face reflected there, than he realised that he was a lion, and in that very instant gave up the false idea that he was a lamb. Once he came to know the truth, he began to roar like a lion! So also, we have forgotten our real nature and think that we are this body. We are not able to believe that we are really Siva Himself, who we may say, 'wears' this body just as we wear clothes. When clothes are old and torn, we throw them away and wear new ones. So also it is wits this body. We shall come to know our Self when the Guru comes to us and shows us the way, like the lion in the story. When we know our Self, we shall be able to roar as the lion cub did, and bleat no more. But this does not happen very easily. There are certain conditions. God says, "If you want Me in earnest, if you want Me and nothing else, if you think of Me all the time, then only shall I come to you." In these pages, I shall try to introduce you to the Spiritual Kingdom in as simple words as I can. The best time to get introduced to the Spiritual Kingdom is when you are young. 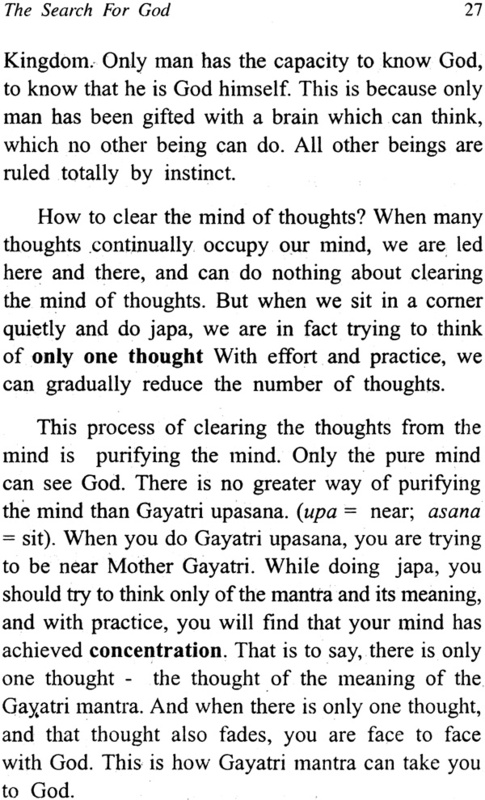 (That is why upanayanam is done when you are only eight years old.) Even if you do not understand now the deeper meanings of what I am trying to say, it is enough that you have faith, and want to follow the teachings. 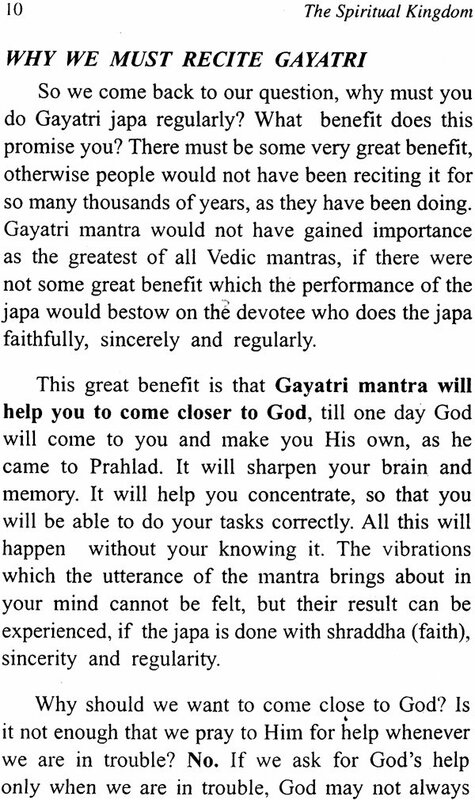 Begin by reciting the Gayatri Mantra every day without fail. If you have just a small desire to come to God, that is enough. God will do the rest. He will make you understand in due course. When the time is ripe, and you are ready, God will come to you.